Wheat is going on here? 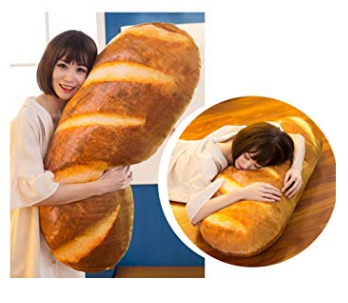 Bread and a pillow combined in one? We'll raise a toast to that! 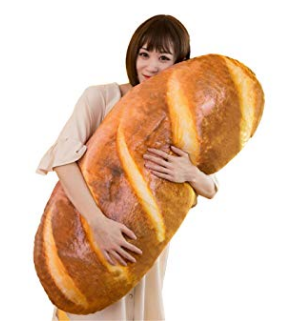 If you're a bit kneady and love a good cuddle well your prayers have been answered as there's now a bread shaped pillow available on Amazon. If you'd like a slice of the action, you'll need some dough, the 2ft bread pillow will set you back €16. Who wouldn't want to roll over in the morning and hug this? We can't think of anything butter to wake up to!